THERESA May has ruled out a TV debate because the voters she wants to reach have the wireless on with their cup of tea. 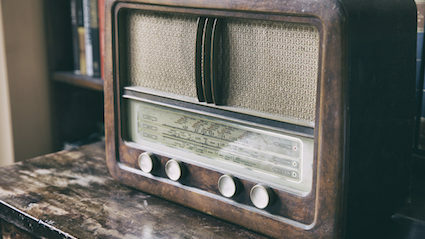 The prime minister told Radio 4’s Today that her target audience stopped trusting the television when it went from three to four channels, and nowadays only turn it on for their grandchildren. She continued: “I’ve no interest whatsoever in reaching out to the young, or the middle-aged, or anyone capable of higher cognitive functions like changing the channel. “No, the voters I want are those who shuffle around suburban homes imagining they’re manning a fortress of English values besieged by immigrant hordes. “Ideally they’re over 75, have never missed an election, and are unable to separate the whispering voice of a local radio presenter saying ‘Bring back the real money’ from their own thoughts. THE Lib Dems are refusing to rule out a coalition with any British political party that will have them, they have confirmed. 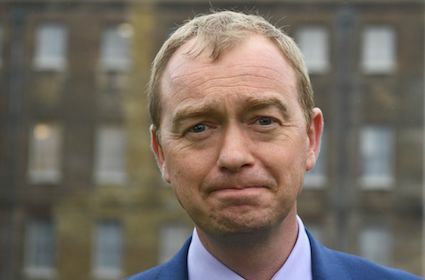 Tim Farron has said his MPs will be open to working with Labour, the SNP, Plaid Cymru, the Conservatives, UKIP, the Democratic Unionists, Sinn Fein, the Greens, the Natural Law Party or Cornish nationalists Mebyon Kernow. He continued: “I hope I’ve not left anyone out. “Whoever you are, whatever your political persuasions, if you’re willing to work with the Liberal Democrats then the Liberal Democrats are willing to work with you. “Perhaps we’ll be a restraining influence on your right-wing dictatorship, or a voice of moderating reason on your socialist paradise. Perhaps we’ll just be there, keeping you company.